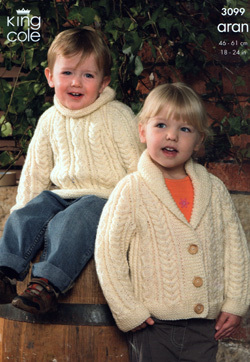 Girl's or women's long or short sleeve boleros worked in King Cole Bamboo Cotton DK. Sizes fro 32"- 44" [81-112 cm]. 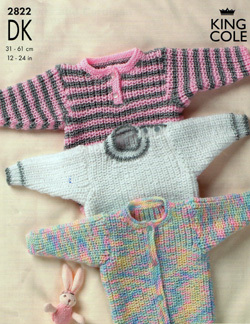 Worked in King Cole Baby Comfort DK. 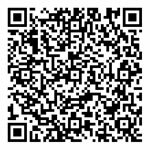 To fit size 12-24 in [31-61 cm]. Pretty cardigan and jackets worked in King Cole Comfort Aran. To fit age 3 - 24 months. 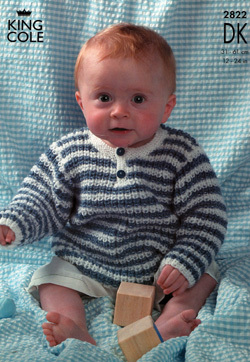 Worked in King Cole Aran Comfort, great value pattern to fit age 3-18 months. King Cole 3115 Coats, cardigans, bonnet, hat and pram cover. 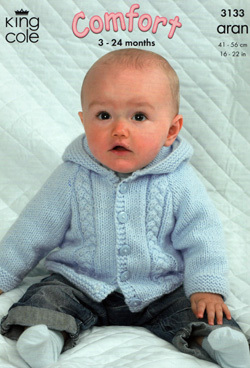 Worked in 4ply or DK and to fit premature to 6 months. Aran sweater, cardigan, hat, scarf and gloves. To fit 18-24" [46-61cm] chest. 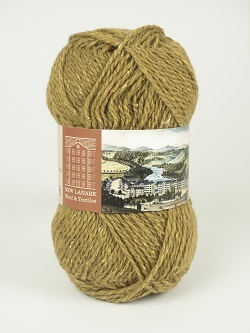 Worked in a range of King Cole yarns. 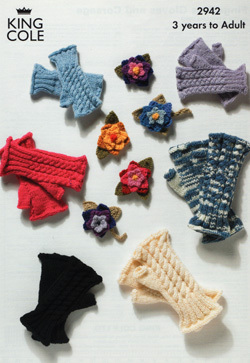 A pretty range of accessories worked in Baby Alpaca DK. 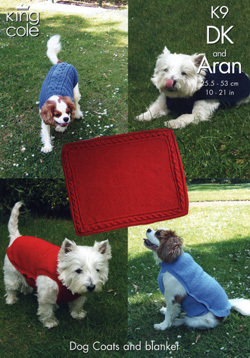 Cute coats for you four legged friend! Worked in DK and aran weight yarn. Sizes to fit small to xxl. 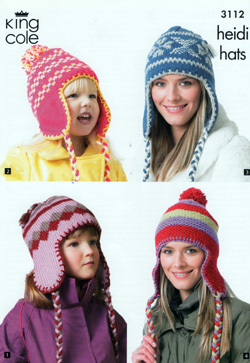 Two adult and two child hats. 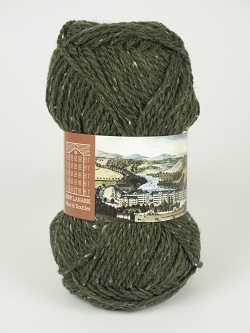 Worked in DK, aran and chunky yarns.